Order a full body caricature drawing, which will be designed from photo of any person as standing in front of car or in car. Caricature will be drawn in colored digital style, so it will take around 3-5 days to provide you with ready-made colored caricature. 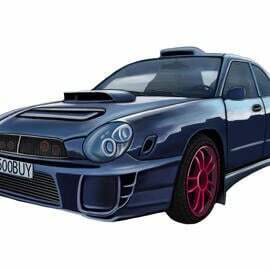 If you would like to draw a specific car like an old retro model or an amazing sport car, then please send us it's photo in order we could draw it perfectly. Such an idea - to draw a digital caricature of person with a car - will surprise any car enthusiast, which can be for you a friend, colleague, father or boss. Caricature which will be digitally colored, can be printed on surface up to 100 cm. 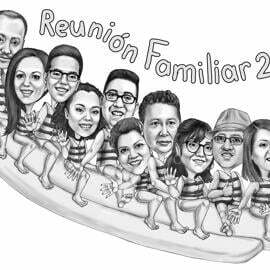 Caricature will be delivered as a printable JPG File on Email, by default. 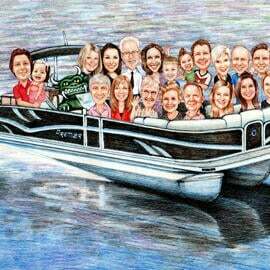 Additional delivery options: Digital Caricature Drawing printed on Photo Paper, Canvas, White Ceramic Mug. Worldwide shipping is available.